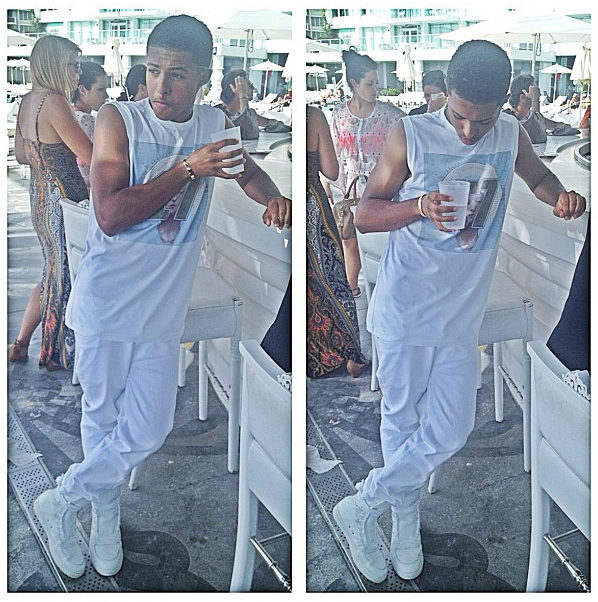 18-year-old rapper and fashion trendsetter Diggy Simmons arrived in Florida and he looked dope in white. The “Do It Like You” rapper styled in a $470 Givenchy Madonna Printed Cotton Jersey Tank Top. 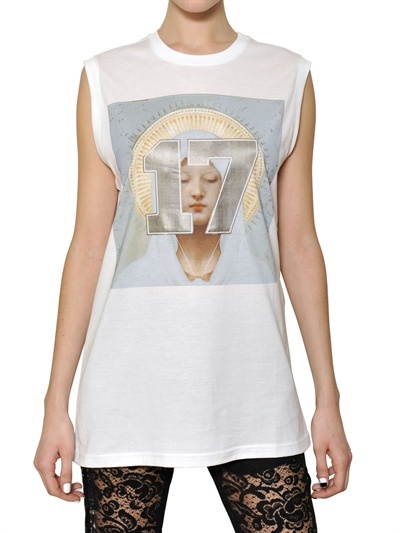 This tank features the brand’s ‘Madonna‘ printed logo and the number ‘17‘ on the front. 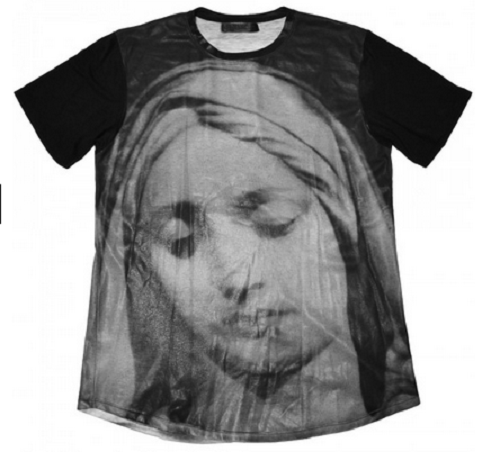 You can purchase it at Luisaviaroma. 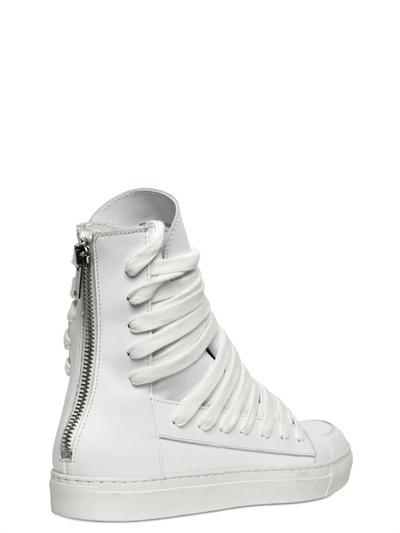 Diggy paired his tank top with white jeans and $645 now $398 Kris Van Assche Sneakers. They feature a back zip closure, rubber sole, perforated detailing, and round toeline. Cop them at The Corner. 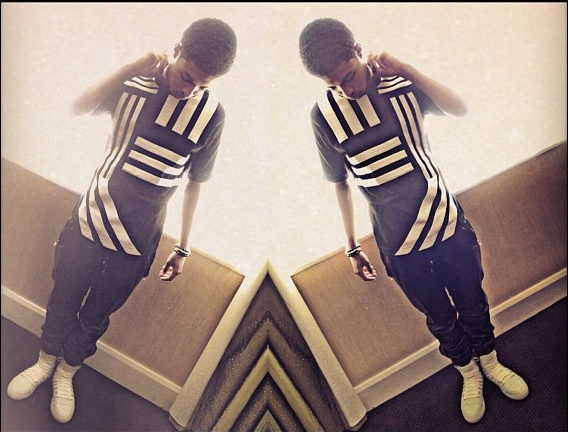 Are you feeling Diggy’s outfit? The Atlantic Records recording artist is set to release his upcoming mixtape, Out Of This World soon. In related Diggy news, earlier in the summer, Diggy appeared on BET’s ‘106 & Park‘ where he announced that he has teamed up with beverage company Coca-Cola and BET’s ‘Wild Out Wednesday‘ on 106 & Park to give a young fan the chance to get closer to realizing their own ambitions. Diggy will perform with the W.O.W. All-Star Series MVP. Any fan can also win the chance to fly to NYC for an all-expenses paid trip to see Diggy’s performance this Fall 2013. Enter for you chance to win here or Coco-Cola. 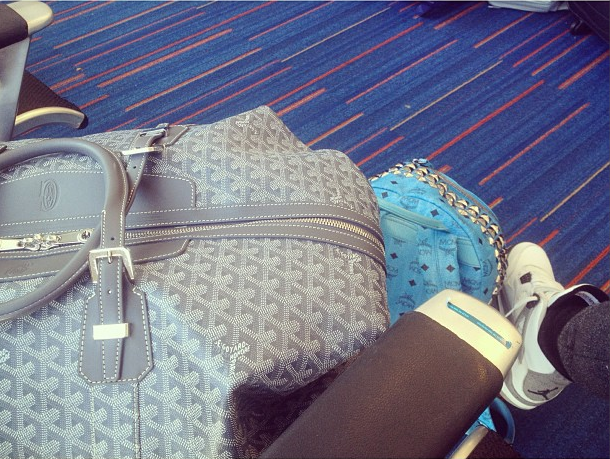 Earlier in the week, Diggy caught a flight from NY’s JFK to South Florida. He carried a Goyard luggage bag and a MCM backpack. 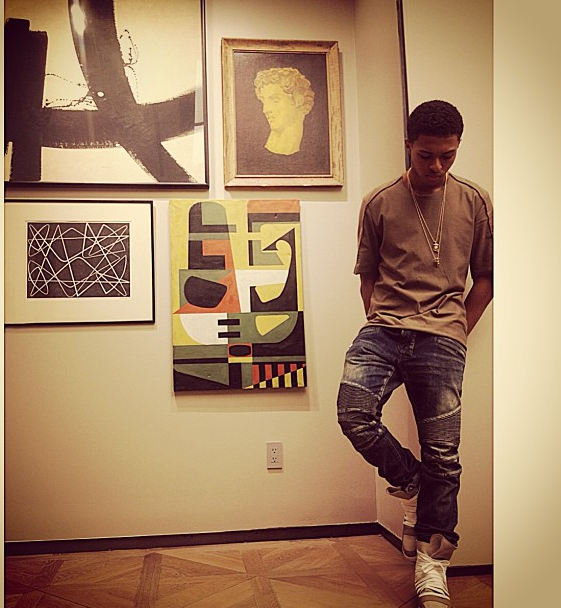 Somewhere in NYC, Diggy Simmons did a little shopping. He also posed in an art/painting boutique. 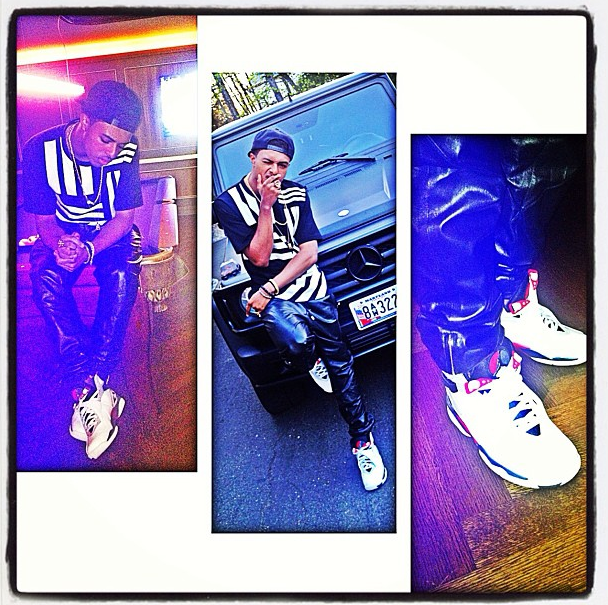 As always, the teenage rap star and fashion trendsetter was styling in upscale designers. 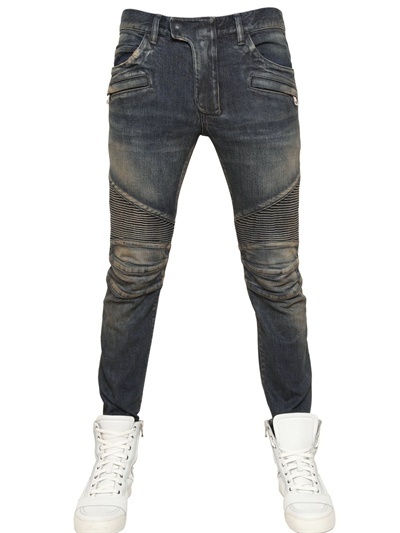 Diggy paired a light brown shirt with $1,340 Balmain Basic Stretch Denim Biker Jeans which you can get at Luisaviaroma. 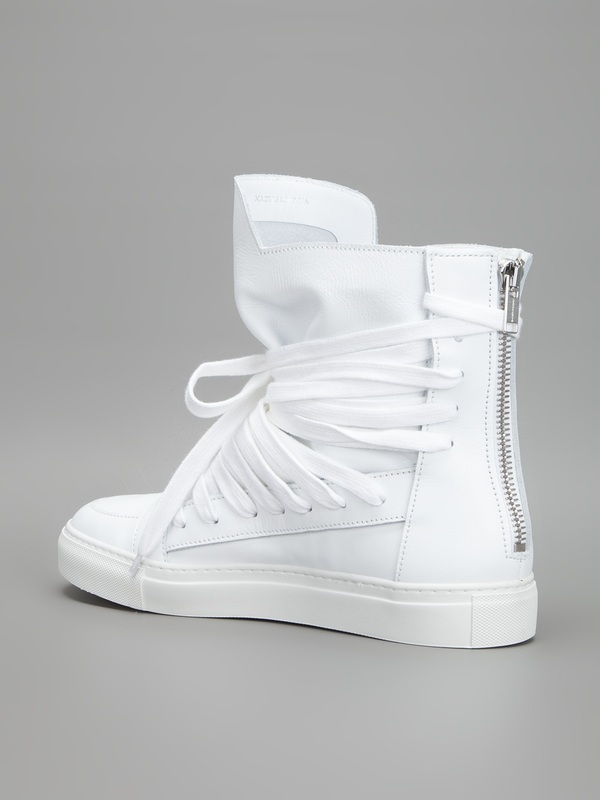 He matched his ensemble with $599 Kris Van Assche lace Up High Top Sneakers (seen in white below) which are from the brand’s Spring/Summer 2013 collection. They feature a round toe, extended lace up closure in white, unlined collar & extended leather tongue and a zip closure at the heel. They’re completed with white rubber foxing, tone on tone stitching, leather upper and rubber sole. 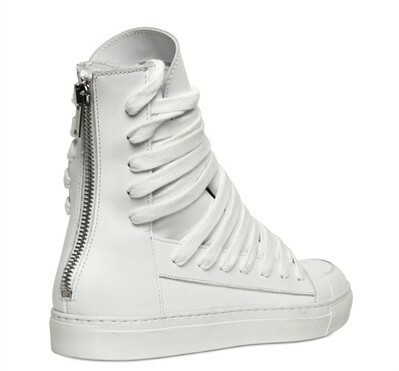 Get these sneakers at Forward by Elyse Walker, Farfetch or Luisaviaroma. 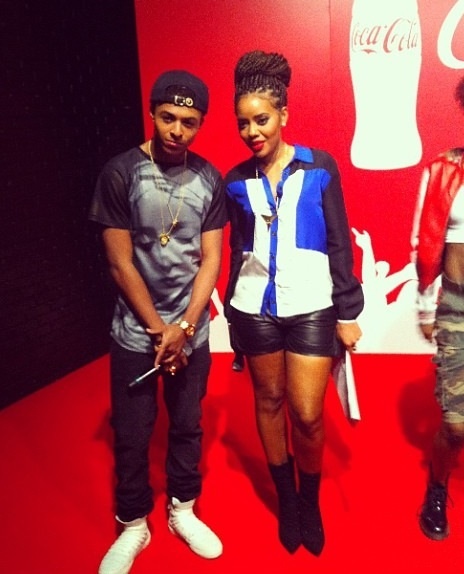 Is Diggy a fashion trendsetter or what? 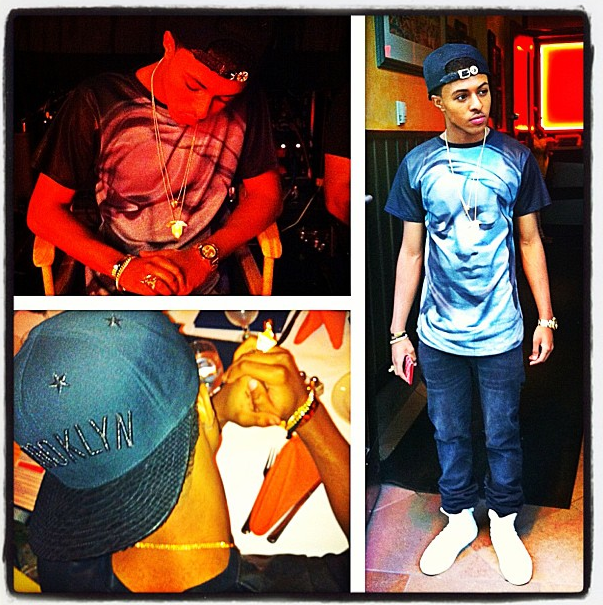 Stylish rapper Diggy Simmons recently styled in a $250 En Noir Virgin Mary Tee-Shirt . He paired his tee-shirt with black/grey denim jeans and white $599 Kris Van Assche lace Up High Top Sneakers which are from the brand’s Spring/Summer 2013 collection. 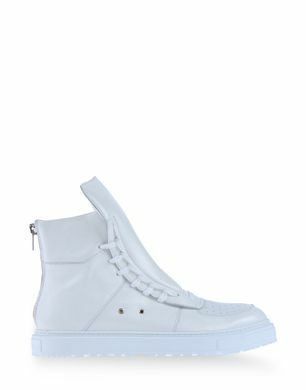 They feature a round toe, extended lace up closure in white, unlined collar & extended leather tongue and a zip closure at the heel. They’re completed with white rubber foxing, tone on tone stitching, leather upper and rubber sole. 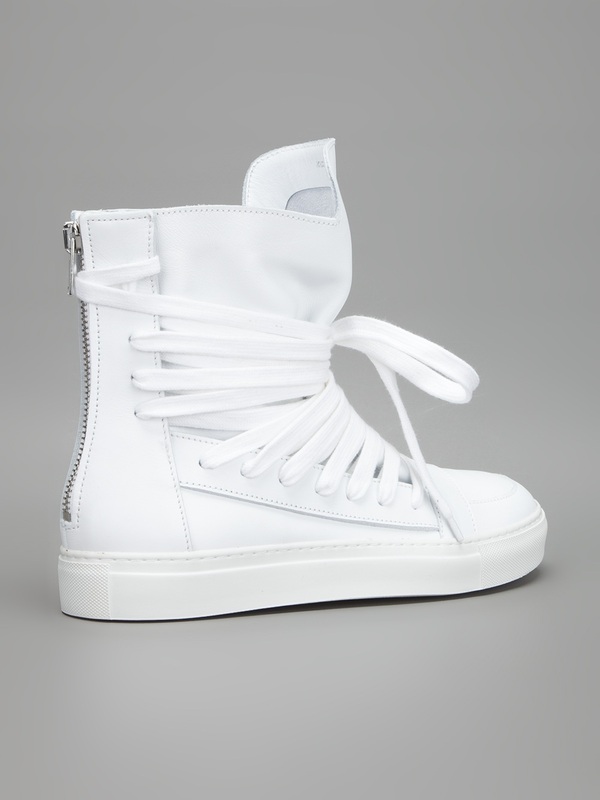 Get these sneakers at Forward by Elyse Walker, Farfetch or Luisaviaroma. 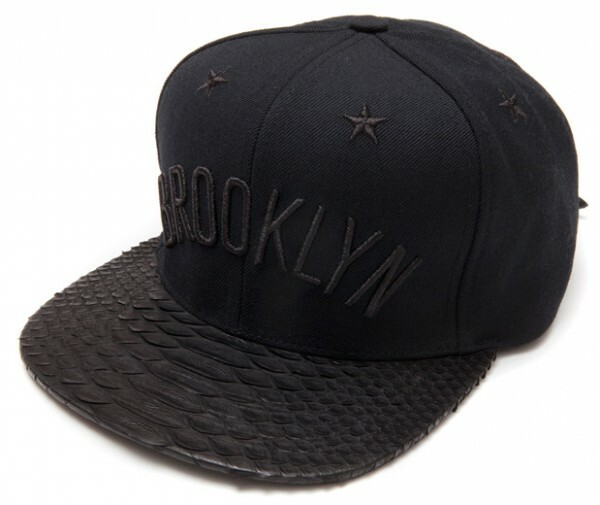 Diggy accessorized his ensemble with a sold out $400 Just Don Brooklyn Python Skin Snapback which features a gold buckle. 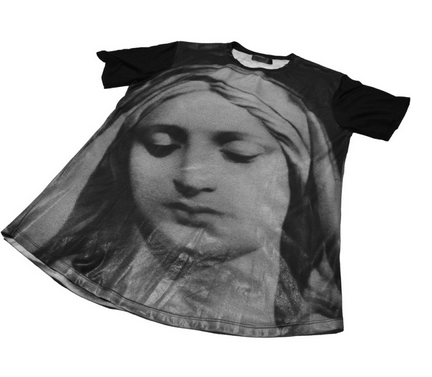 The tee-shirt features Virgin Mary face printed on the front, polyester/spandex upper and black short sleeves. You can purchase it at Barneys. This kid is just to dope! What are your thoughts on Diggy’s ensemble? 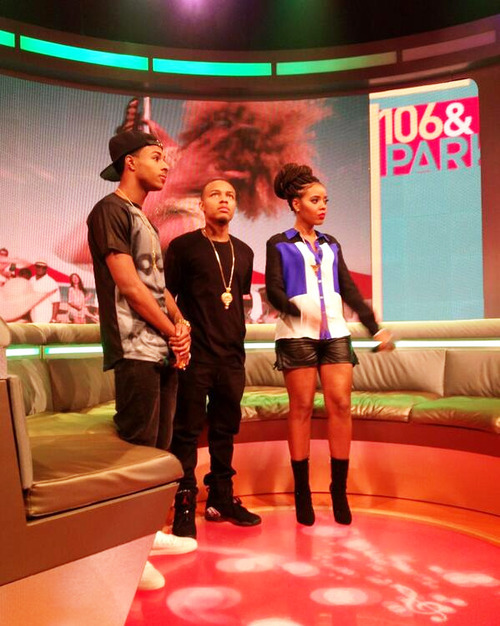 Last night Wednesday (June 12), stylish 18-year-old rap star Diggy Simmons appeared on BET’s ‘106 & Park‘ alongside Bow Wow and his sister Angela Simmons. This dope jettsetter has teamed up with beverage company Coca-Cola and BET’s ‘Wild Out Wednesday‘ on 106 & Park to give a young fan the chance to get closer to realizing their own ambitions. 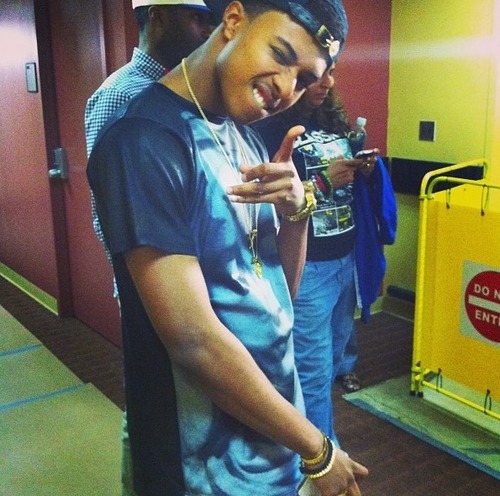 Diggy will perform with the W.O.W. All-Star Series MVP. Any fan can also win the chance to fly to NYC for an all-expenses paid trip to see Diggy’s performance this Fall 2013. Diggy has evolved as an artist and grown as a fashion trendsetter. His upbringings were good because of his father, Hip-Hop/Rock & Roll legend Rev Run and his entrepreneur/music mogul uncle Russell Simmons; however he did not step to them for a handout or co-sign to jump-start his music and fashion career. In fact, he did the complete opposite and stepped out of his father and uncle’s shadow, built his own lucrative brand and grown into his own man and artist. I am so proud of this kid! I will continue to post him on my blog, regardless of what the critics say. 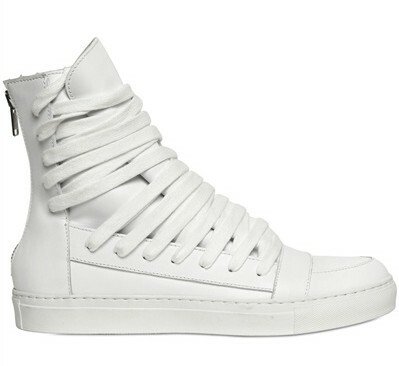 Diggy wore a pair $620 Kris Van Assche lace Up High Top Boots which are from the brand’s Spring/Summer 2013 collection. 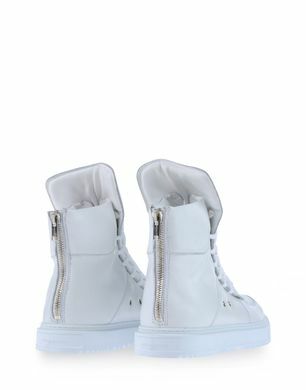 They feature a round toe, extended lace up closure in white, unlined collar & extended leather tongue and a zip closure at the heel. They’re completed with white rubber foxing, tone on tone stitching, leather upper and rubber sole. You can get these boots at FarFetch. Isn’t this kid just too dope? Over this past weekend, Diggy Simmons was spotted enjoying some family time with his love ones. He styled in a $185 Y-3 Yohji Yamamoto Contrast Stripe Tee Shirt & black leather sweatpants paired with Air Jordan 8 ‘Bugs Bunny’ 2013 Retro. 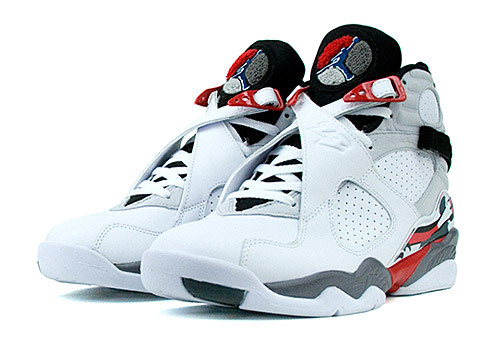 The Air Jordan 8 ‘Bugs Bunny’ earned its name from Bugs Bunny in the movie Space Jam. 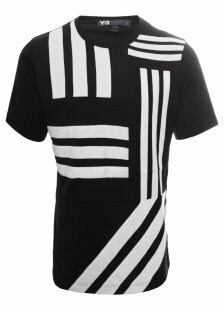 This contrast stripe tee-shirt is from Y-3 Yohji Yamamoto Spring/Summer 2013 collection and feature multiple contrast black fabric stripes in trios; representing the signature Adidas Y-3 logo. 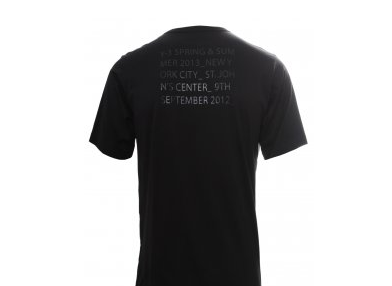 This tee-shirt also features some writing on the back. Back in March, I posted a pic of Diggy wearing this exact same shirt and leather sweatpants paired with $599 Kris Van Assche lace Up High Top Sneakers which are from the brand’s Spring/Summer 2013 collection. They feature a round toe, extended lace up closure in white, unlined collar & extended leather tongue and a zip closure at the heel. They’re completed with white rubber foxing, tone on tone stitching, leather upper and rubber sole. The dope jetsetter, Diggy Simmons was photo’d rocking a $185 Y-3 Yohji Yamamoto Contrast Stripe Tee Shirt & black leather sweatpants paired with $599 Kris Van Assche lace Up High Top Sneakers which are from the brand’s Spring/Summer 2013 collection. 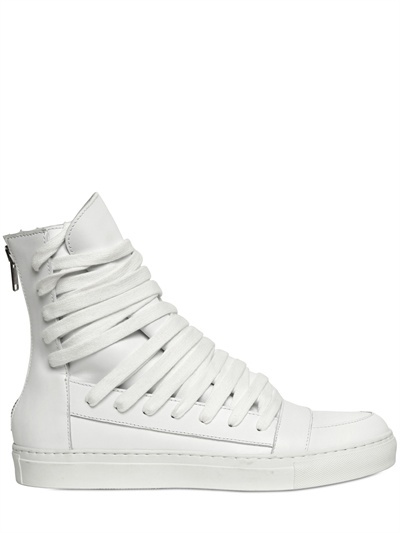 They feature a round toe, extended lace up closure in white, unlined collar & extended leather tongue and a zip closure at the heel. They’re completed with white rubber foxing, tone on tone stitching, leather upper and rubber sole. Isn’t this kid just too dope?